One really helpful tool in Pokemon GO was the ability to see where certain Pokemon were caught. Unfortunately, that feature hasn’t been around lately. That’s all changing. 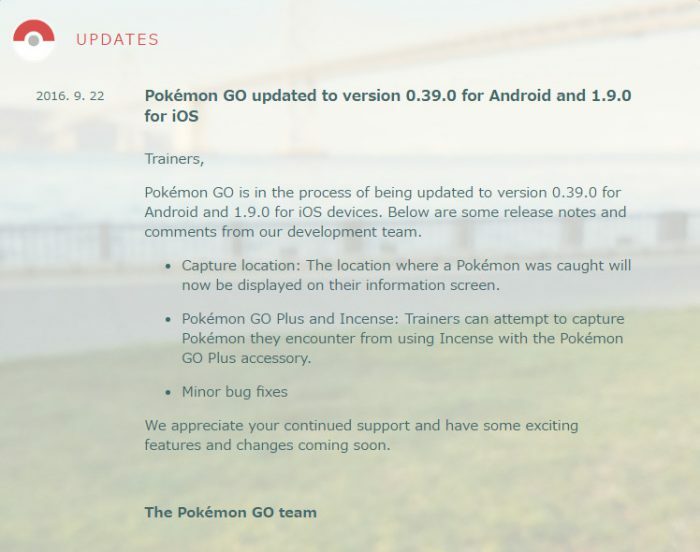 According to the latest update, that function is now returning to Pokemon GO. Tracking where Pokemon were found is the easiest way to legitimately see where to find more rare Pokemon. This is because Pokemon GO has set areas where certain Pokemon are more likely to spawn. So seeing exactly where you found a Dratini can help you catch more. This also works with eggs. What’s inside an egg is affected by it’s type (2 km, 5 km, or 10 km) as well as where the egg was found. This update includes the data where you picked up each egg. Pokemon GO wants to be the very best, and it was for a while. For 74 days. But n..